Undertoad Coverage in BroadwayWorld — JESSICA DISALVO, ACTRESS. 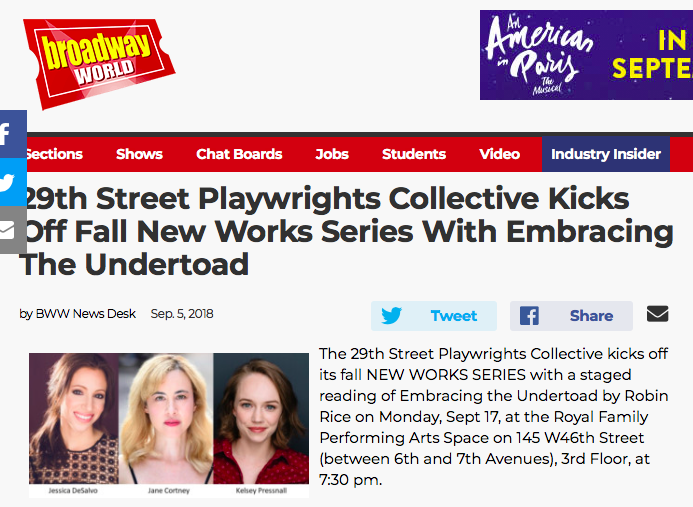 Our upcoming staged reading of Embracing the Undertoad is featured in BroadwayWorld! Click the image for the full article.